The genre of screamo: often misunderstood, often imitated. Spawning legions of underground devotees and curious listeners since the 90s, one of the bastions — however short-lived — of the genre have undisputedly been City Of Caterpillar. Despite only releasing one album through their initial four years of existence (2000-2003), they've since been oft-quoted and recognised as a genre innovator, establishing the genre hallmarks of atmospheric dynamism — heavily inspired by post-rock — distorted guitars, and impassioned screams. Their self-titled debut was recently reissued in 2016 and the band have since reformed — performing to audiences who missed out their early dingy basement shows, now at varied punk establishments around the world. The band have now geared their way to Asia, announcing an Asian tour that covers Japan, Taiwan, Malaysia, Indonesia and Singapore. In an extensive itinerary for Japan, the band will be joined by luminaries Heaven In Her Arms, Killie, Cohol, Us:We and Birth. After which, the band will embark upon the rest of the region. 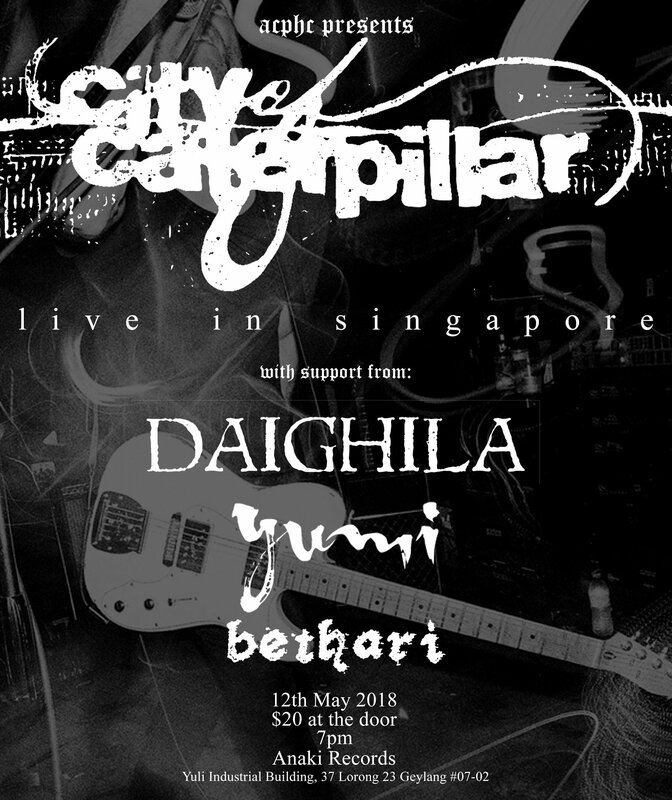 City Of Caterpillar will be supported by Malaysian band DAIGHILA, along with Yumi and Bethari in Singapore. While there's no news of a new album, this Asian leg will close off a highly-successful reunion tour that began early last year, so this may be your only chance to catch them live in their element — for now, anyway. 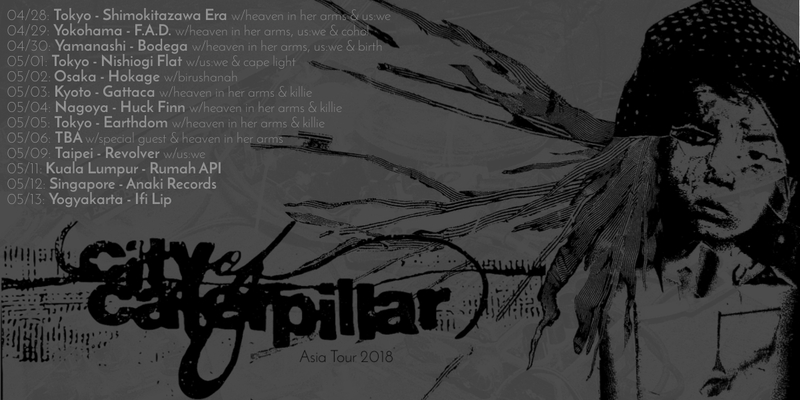 City Of Caterpillar are set to perform at Anaki Records in Singapore with DAIGHILA, Yumi and Bethari on 12 May. Tickets priced at S$20 will be available at the door on the day of the show.